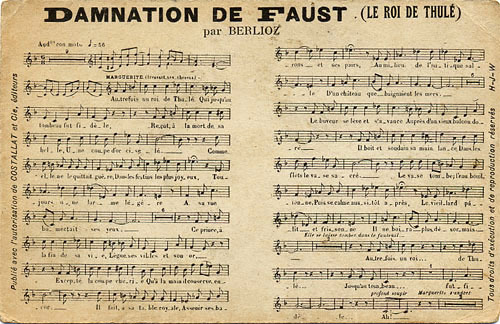 The following are postcards published in France, notably by the Musée Hector Berlioz and the Bibliothèque municipale de Grenoble. 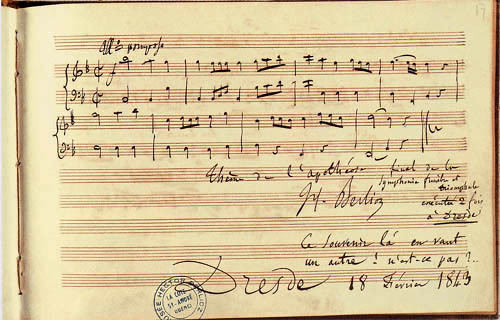 There is no date of publication on the reverse of the card. 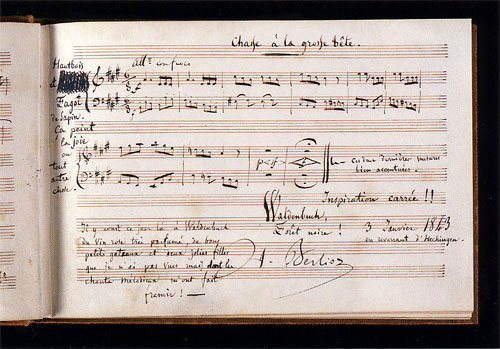 This postcard, published by the Musée Hector-Berlioz in La Côte-Saint-André reproduces an album leaf dated 18 February 1843 in Berlioz’s hand. 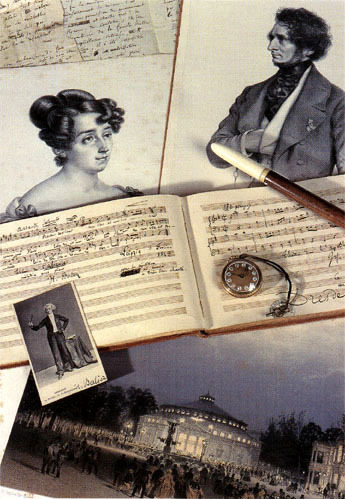 We are most grateful to Madame Chantal Spillmaecker, conservateur of the Musée Hector-Berlioz, for sending us a copy of this postcard. 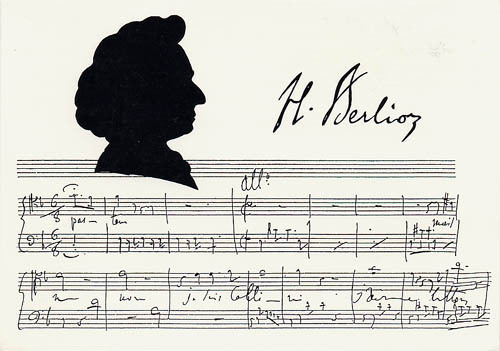 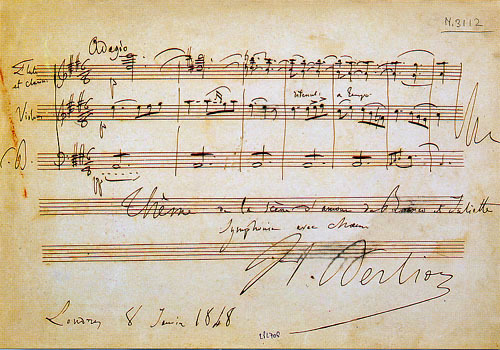 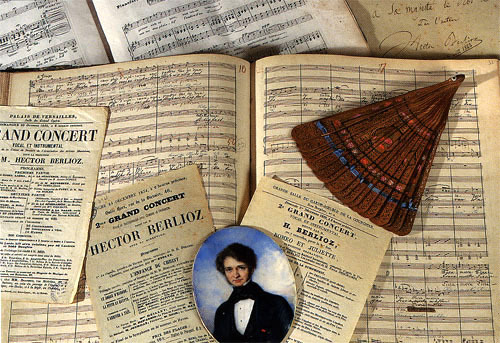 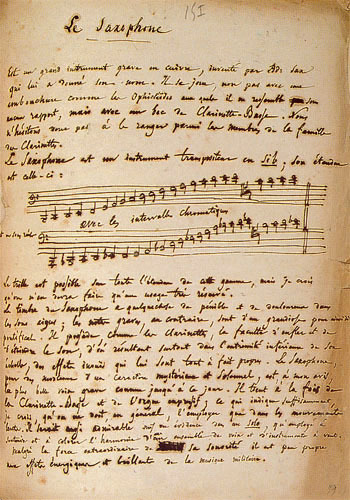 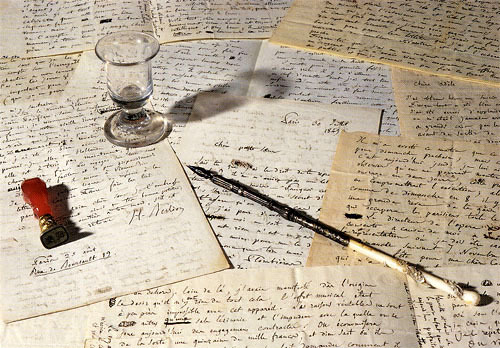 The notebook of 1842-1848 from which this page is taken in discussed in the page concerning Berlioz’s visit to Hechingen in winter 1842-43.